Water conflicts: are media and science part of the problem or part of the solution? As tensions grow over sharing the Nile’s and other international rivers’ waters, a new research addresses the role that journalists and scientists play in transboundary conflicts or cooperation. The project “Open Water Diplomacy. 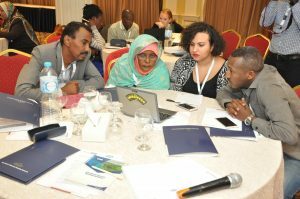 Media, science and transboundary cooperation in the Nile basin” aims at offering a space where water journalists and water scientists from different Nile basin countries can get acquainted and engage in a process of common learning and co-production of knowledge. The project also aims at reaching out to water diplomats – national governments, international institutions, NGOs involved in transboundary water management – to contribute to build shared narratives and a culture of cooperation in the Nile basin. 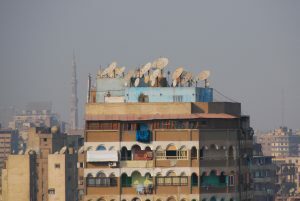 The research will study how the relation between media, science and politics unfolds in the Eastern Nile basin, looking both at mainstream and social media in Egypt, Sudan and Ethiopia, as well as at international media influencing the debate in the region, like Al Jazeera, BBC or The Guardian. We analyse statements (articles, blog posts, comments on social media…) related to specific events (like the launching of the Great Ethiopian Renaissance Dam by the Ethiopian government, or the tripartite negotiations between Ethiopia, Sudan and Egypt) by situating them in the broader political context (i.e. in relation to events such as the 2011 Egyptian revolution or the South Sudan independence). The main objective is to understand whether these statement are “going towards” or “going against” a culture of dialogue and cooperation, and the role that communication of techno-scientific issues plays in this regard. For regular updates about our conversation on media and water diplomacy you can listen to the podcast The Sources of the Nile. Building on the research findings, the project will develop training activities for water researchers and water journalists working in the Nile basin. Journalists will be trained on water management and water conflicts issues, while researchers will be trained on communication skills. Part of the training will be conducted jointly for the two groups, in order to facilitate interaction and development of joint water science communication projects. Journalists and researchers will be offer small grants to develop “sandpit” projects on communicating science for water diplomacy. 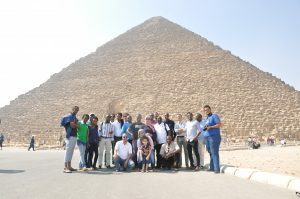 Project teams will be trans-disciplinary and trans-national, involving participants from different Nile countries. By pulling together different professional background and different nationalities we aim at contributing to the emergence of shared Nile narratives, going beyond the mainstream “national interest” perspective. 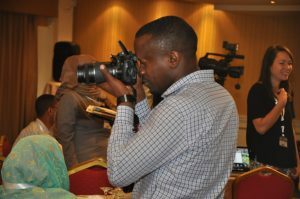 The Nile talks are events aimed at communicating and disseminating such projects. Researchers and journalists supported will reach out to water diplomats and policy makers, communicating water science in a way that is understandable to wider audiences, and that might contribute to transboundary negotiations. NBCBN is a regional network for capacity building of water scientists and water professionals in the Nile basin, launched in the 2002. Its mission is to contribute through its regional, multi-disciplinary and multi-stakeholder collaborative research in the basin to sustainable solutions for integrated water resources management, supporting the achievement of Sustainable Development Goals. WJA is a network of 700 journalists from 50 African countries reporting about water in the continent. Established in 2011 in Cape Town, South Africa, with support from the UN-Water Decade Programme on Advocacy and Communication, it is now based and registered in Kampala, Uganda. SciDev.Net is the world’s leading source of reliable and authoritative news, views and analysis on information about science and technology for global development. Its mission is to help ensure that science and technology has a central role and positive impact on sustainable development and poverty reduction in the global South. The Wits Department of Media Studies is one of the pre-eminent centres for the critical, interdisciplinary and theoretical study of media in the southern hemisphere. It contributes to this project by bringing in the expertise on studying online debates built through a previous project on mapping online debates in Ethiopia, “Mechachal”.